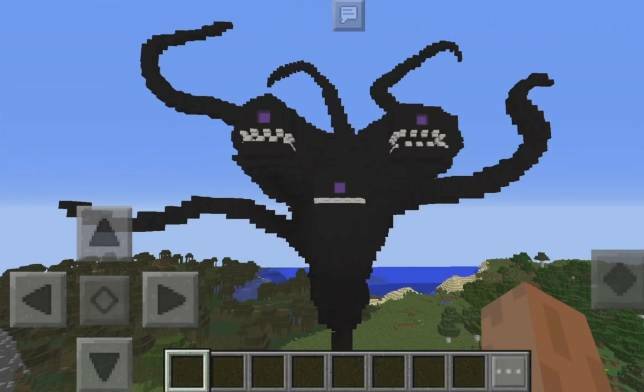 Wither Storm Add-on for Minecraft PE and Windows 10. 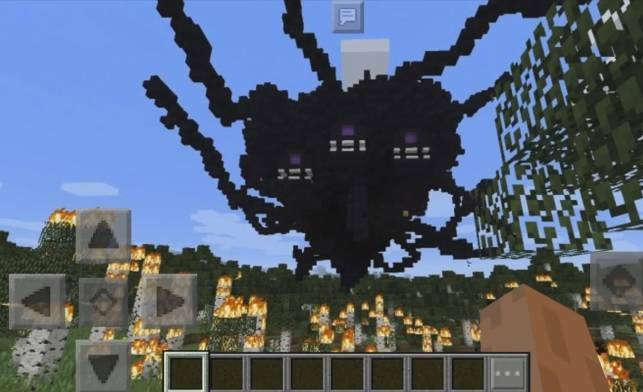 Wither Storm is an addon for Minecraft Pocket Edition (both iOS and Android) and Windows 10 Edition. 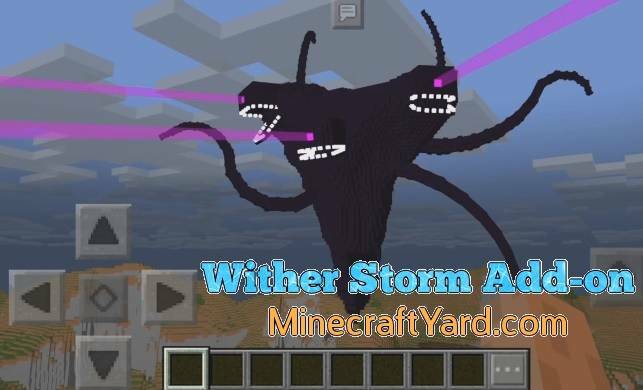 Wither Storm add-on unleashes Wither Boss inspired from Minecraft Story Mode. The boss is gazillion times mightier than the original one. To beat this boss, you have to gear up with proper weapons and body armor otherwise it is impossible. To spawn the Boss, place four soul sands (make a T letter from it) and 3 wither skulls on top of it to spawn Wither Storm. You will need to use TNT, and a bow, you can also use other Weapons (?) addons to defeat him. One player used Iron armor and a infinity 1 bow with sharpness 2 diamond sword. Download both Behavior and Resource Pack and open it with Minecraft Pocket Edition or Windows 10 Edition . In conclusion we would like to mention this thing that user require is the safe and secure content. Therefore we put our up most effort to keep check and balance. Furthermore in order to ensure that the mods provided here are 100 percent legit and safe to use. In addition to that we make sure that there is no fake or broken link is distributed. Moreover, if you have any query related to the content or want to share your precious suggestions. Most noteworthy you can use the comment section. Finally we ensure you a really pleasent experience. Hence have fun and enjoy playing Minecraft with your favorite mods.